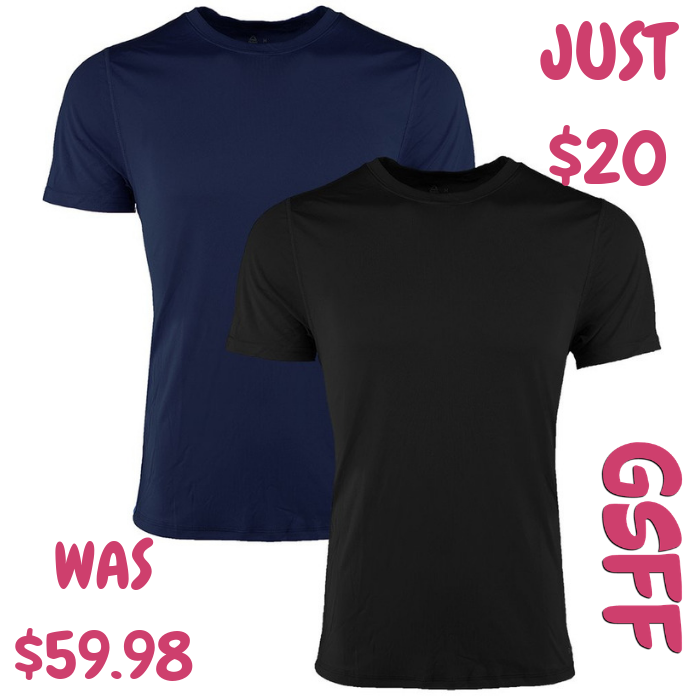 Reebok Crew T-Shirt 2-Pack Just $20! Down From $60! Shipped! You are here: Home / Great Deals / Christmas Deals / Reebok Crew T-Shirt 2-Pack Just $20! Down From $60! Shipped! Until November 29 only! Hurry over to Proozy.com where you can score this Reebok Men’s Crew T-Shirt 2-Pack for just $20 down from $59.98 when you use promo code PZY20 at checkout! PLUS FREE shipping! Keep your workouts on track with Reebok’s Performance T-Shirt. The moisture-wicking fabric increases ventilation, while the athletic cut allows for optimal movement. Built for workouts, sports and training.